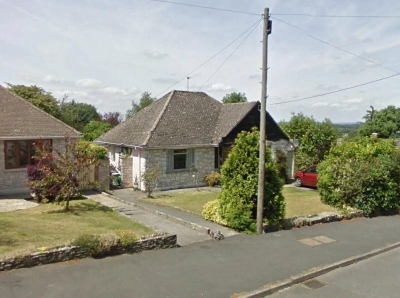 East Dorset District Council: Pure Town Planning have recently secured planning permission to extend and remodel a modest family bungalow in Colehill in Wimborne. The planning approval will transform this quaint but ageing bungalow which was in need of refurbishment and extensions in order to meet the applicant’s needs. The existing two bed bungalow had an insufficient ground floor layout encompassing too many rooms which restricted both the flow of movement as well as light throughout the ground floor area. The approved design represents a clear departure from the existing bungalow and acts to significantly transform the space. The ground floor has been extended to the rear of the property as well as providing an expansive open plan living space which was a key requirement for the family. The ground floor rear elevation is now almost fully glazed which will increase the light levels throughout the open plan living space to create a far more functional and appealing ground floor area, which takes advantage of the rear garden and the proposed terrace area. Also of key interest to the applicant was securing additional accommodation in the roof space. This particular aspect of the proposal needed precision design in order to prevent a detrimental relationship to its neighbouring dwellings as well as to avoid being out of keeping with the character and appearance of the Pilford Heath Road area. The bespoke design was prepared by architect Dorset Planning who tailored the scale, layout and appearance of the scheme to fit with the context of the site whilst achieving the additional ground floor area and new first floor accommodation set out in the client’s brief. 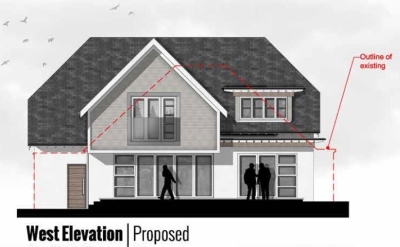 The approved design now boasts a substantial first floor to the existing bungalow which houses a separate study and 3 large bedrooms including a master bedroom with additional dressing and en-suite rooms. Whilst the resultant property is larger than the existing bungalow on the site, with constant contact with the planning officer at East Dorset District Council, we were able to quickly convince the planners that the proposal not only preserved an acceptable relationship to its neighbouring property at 41 Pilford Heath Road , but was a beneficial addition in visual terms to the Pilford Heath Road street scene. Following in-depth assessment and review of the proposal by the council, the right result was achieved when a recommendation to approve the scheme was granted by the planning officer. As such, the applicant secured the extended and remodelled dwelling they desperately needed and the local authority were fully satisfied that the high calibre design safeguarded against any potential impacts of the proposal upon the neighbouring residents and the wider streetscene of Pilford Heath Road. 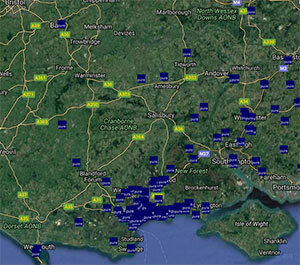 Pure Town Planning grows… again!